Course Website: Official Website - Visit Wine Valley Golf Club's official website by clicking on the link provided. 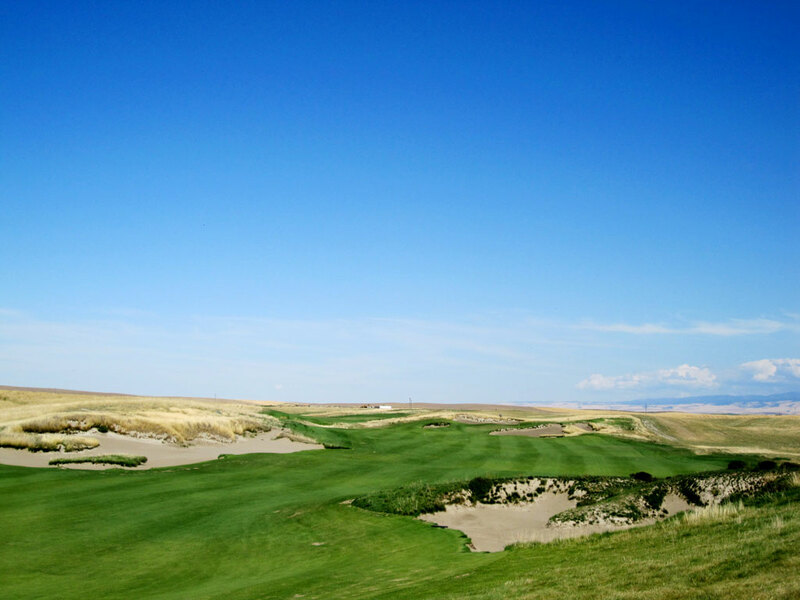 Accolades: Ranked 3rd in Washington on Golf Course Gurus' Best in State list. 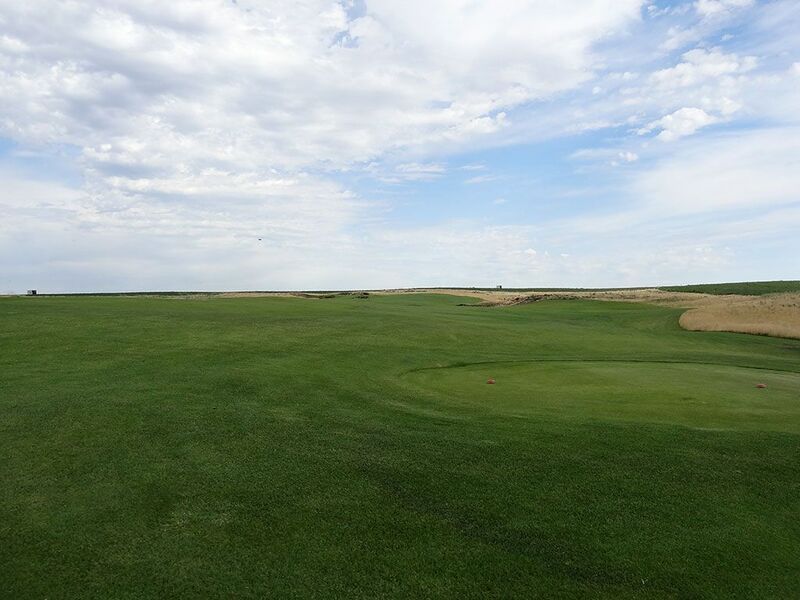 What to Expect: In true minimalist fashion, the Wine Valley golf course fits the surrounding terrain so well that it looks like "it fell from the sky" according to the Head Professional. 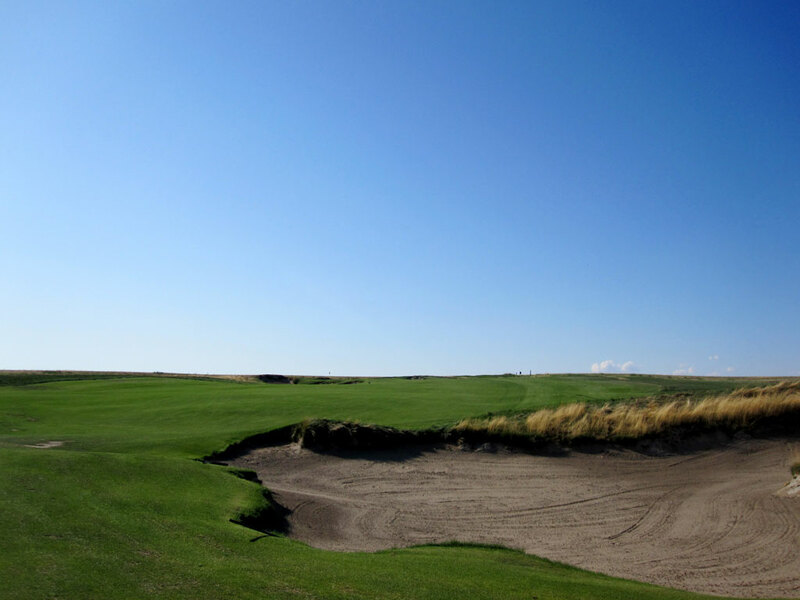 The Dan Hixson designed links course features firm-and-fast conditions that are conducive to the hit-and-run game which will need to be employed often at this fully exposed, wind swept layout. Like most minimalists, Hixson puts a much larger premium on the short game than he does the long game by inserting major undulations in the large greens and placing tight-lie chipping areas and gnarly bunkers around the putting surface while the wide fairways are receptive to most tee shots. Fescue grass can be found growing outside most of the fairways and can create havoc with your scorecard if you hit your ball in it - assuming you find it! 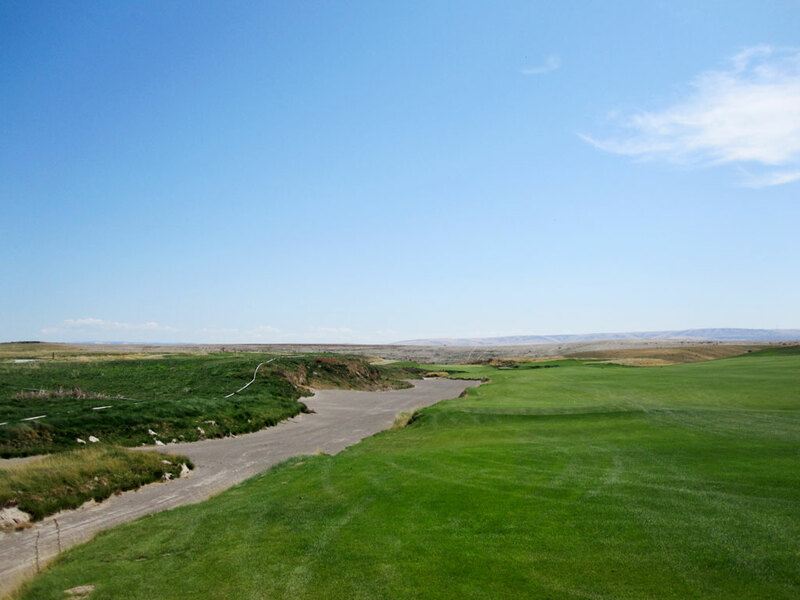 The course is kept in great shape and offers an excellent links style experience not readily found in Washington. The variety of holes and shots is extraordinary and thus creates one of the most fun layouts in the Evergreen State. 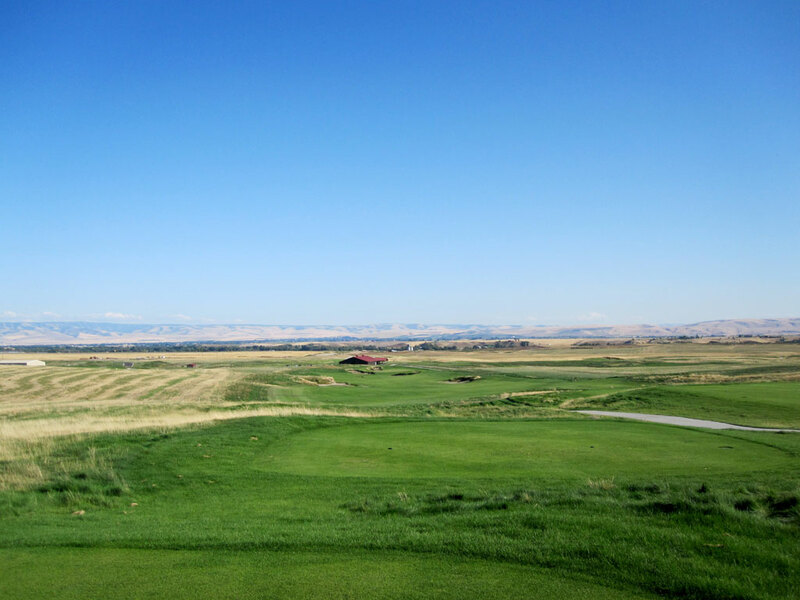 Signature Hole: 18th Hole – 585 Yard Par 5 – From the highest point on the course, players are afforded expansive views of the entire Walla Walla area and Wine Valley golf course. The tee shot plays well downhill as the fairway tumbles towards the clubhouse and affords golfers an opportunity to reach the green in two. 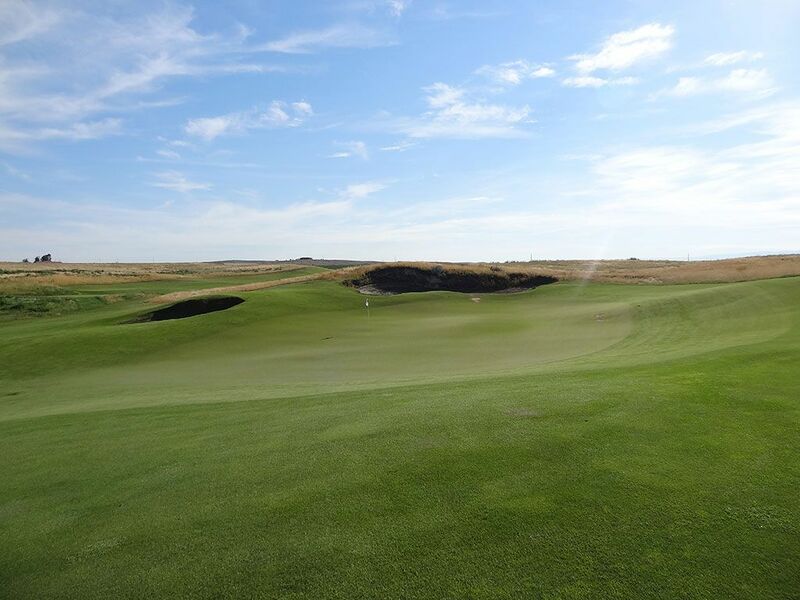 A fall off from the right side of the green forms a chipping area where players will favor if they miss the green since going left of the putting surface will leave you in the fescue. Being given a legitimate opportunity to score under par on the final hole is a feature I always enjoy as it allows many golfers to go home on a high note. While many courses finish with holes that play uphill to the clubhouse where often the best views are found, Wine Valley's choice to give the best view on the course from the 18th tee is a welcome change. Best Par 3: 14th Hole – 175 Yards – At a course full of intriguing greens, the 14th is one of the most compelling and also the second largest on the property. Balls hit to the middle of the front portion of the green will filter down to a chipping area or to the waste bunker that fronts the putting surface. A spine dissects the right side of the green while a pair of small hills highlight the left side and can create some challenging putts, even from a short distance. The firm and fast conditions will also create some treacherous sand saves from the rear bunker. 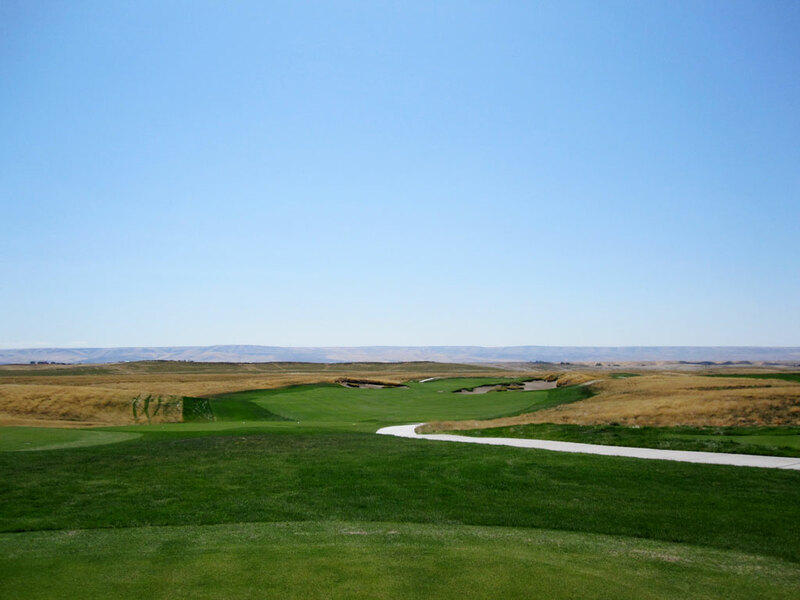 Best Par 4: 1st Hole – 430 Yards – The opening hole at Wine Valley sets the tone early for what golfers can expect; wide fairways, undulated terrain, and expansive bunkers. Long hitters can hammer their tee shot over the bunker on the right which will setup a short wedge shot into the green. 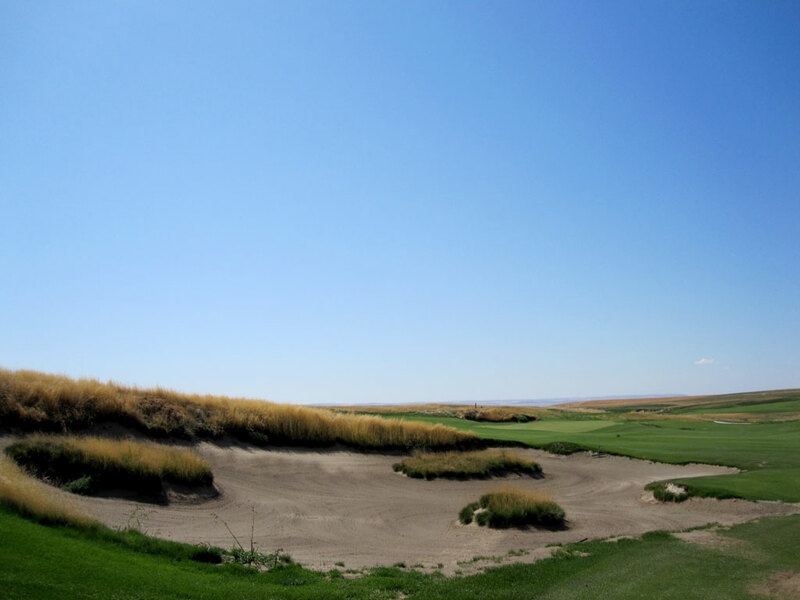 Players looking for a safer option will elect to play left of the bunker and leave themselves a longer approach into a large undulated green that will often lead to a three-putt for players unfamiliar with the course's firm and fast conditions. Best Par 5: 7th Hole – 625 Yards – A true three-shot par five, the 625 yard 7th hole is a beast not only in terms of length but also because it plays uphill. Typically punchbowl greens are found on long par 4s or short par 5s where players are often taking a long club into the green, however here Hixon employs the feature at a time when most golfers will be hitting a wedge or low iron into the green. 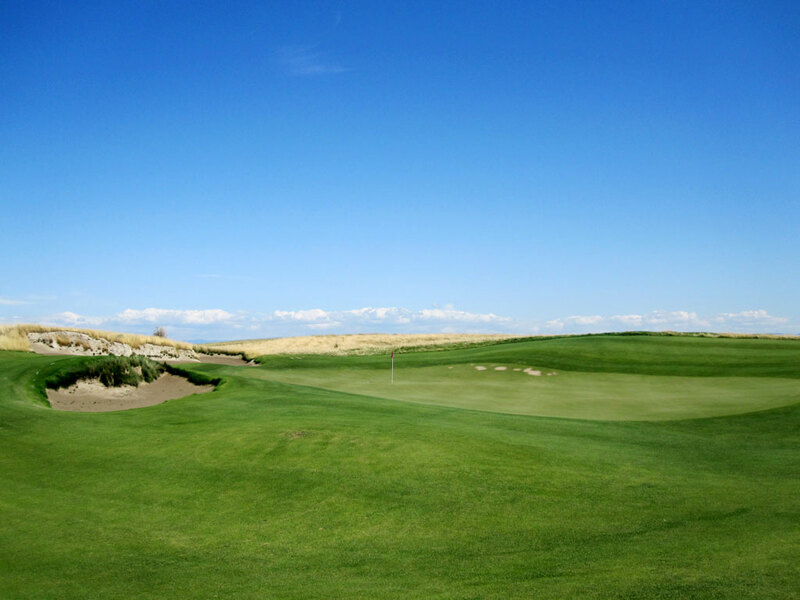 While the punchbowl feature can create an extra receptive opportunity to hold long shots coming into the green, hitting a shorter club in here marks an opportunity for players to employ creativity in utilizing the slopes in the putting surface to get close to the hole on their third shot. Finishing above the hole creates very quick putts that require superior touch to properly gage and certainly isn't the ideal position when trying to card a birdie. Birdie Time: 15th Hole – 515 Yard Par 5 – Hixon does a great job again here at the scorable 15th hole by mixing a shorter length par five with one of the most demanding green sites on the course. 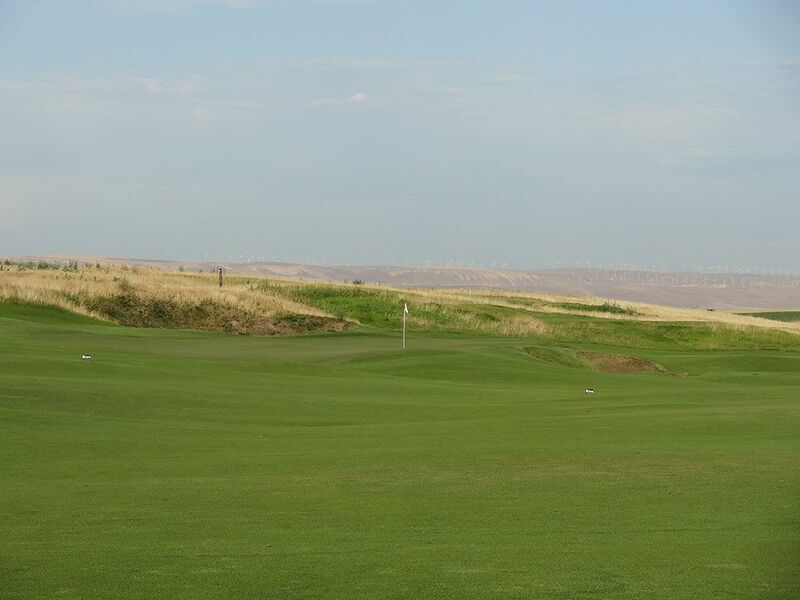 The majority of players who have elected to play the proper tee will have the length available to them to reach this green in two, but the chances of holding the putting surface with anything longer than an iron shot is slim at best. The shallow and crowned green is one of the smaller ones on the property and quickly skirts off any shot that isn't top quality. Players looking to birdie this hole will likely rely on a great short game to get them up and down from around the green or will need the confidence in their wedge play to layup before sticking their approach shot tight. Getting into the bunker behind the green is a virtual death sentence as players will be faced with a sand shot to the shallow part of the green that allow features run off chipping areas ready to collect bals that lack the spin to hold the putting surface. 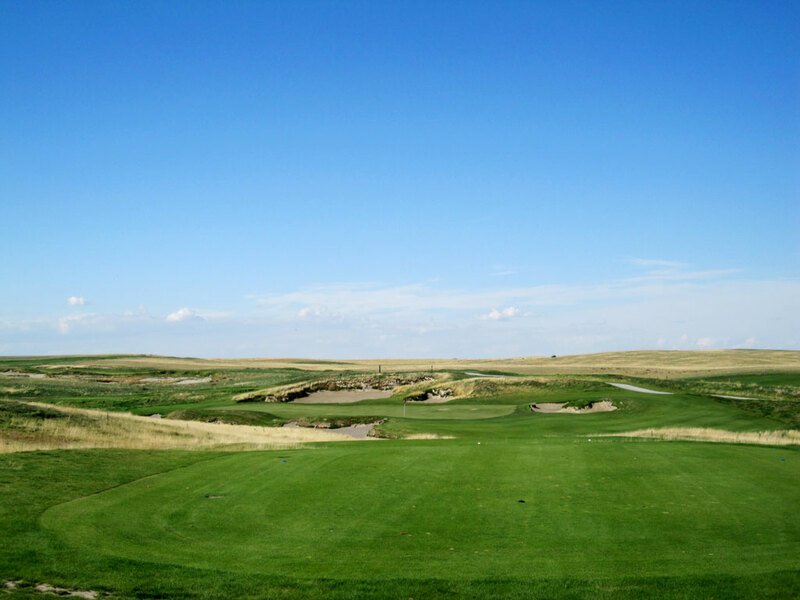 Bogey Beware: 5th Hole – 475 Yard Par 4 – A waste bunker/wash frames the entire left side of this fairway and is what your eye is immediately drawn to on the tee box. Being an equal opportunity hazard, the wash cuts across the fairway and hugs the right side of the green. The length of the hole doesnâ€™t allow players to hold back on their drive so it will take a long straight shot down the right side to setup an approach to the largest green on the course. The longer the drive the narrower the fairway gets so absolute precision and brute length is needed to avoid bogey here.